Stretching the One Income Dollar: Looking For A Fuel Effecient Car? Looking For A Fuel Effecient Car? The skyrocketing prices of fuel is difficult to ignore. I'm sure you've noticed, a gallon of gasoline cost around $4 in most areas in the United States. Unfortunately, the thought of the cost dropping in the future looks gloomy. To remedy, automakers are manufacturing cars that are both energy efficient, as well as, gas efficient. These type of cars not only save money, but, they are also environmentally friendly. If you are planning to purchase an energy efficient vehicle, there are several car models to choose from. In contrast to our common notion, green cars are not only limited to Honda Civic Hybrid cars or the Toyota Prius. These days, auto manufactures such as Kia, Hyundai, Nissan, just to name a few, are jumping on the bandwagon by coming out with their own energy saving vehicles. What should you look for when car shopping, and which gas efficient vehicle model should you select? First, you need to consider how many passengers the car will have. Secondly, how much are you willing shell out? 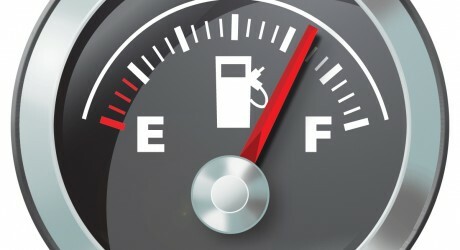 Most importantly, you need to decide on the miles per gallon (MPG) of the car, whether it is city MPG or highway MPG. To give you an idea, here are some of the most efficient cars to date, based on their price range, and miles per gallon. The Kia Forte has a price tag of $15,390. Its miles per gallon is 36 (highway), 26 (city). Next, the Hyundai Accent cost around $13,175 with city MPG of 27, and highway MPG of 36. Another excellent choice is the Ford Fusion Hybrid. It is a bit hefty, costing about $28,240, although style and mpg make up for the price. The Fusion Hybrid gets about 36 mpg on the Highway, and in the city it gest about 41. If you have some money to spare, you can opt for Nissan Leaf which costs about $32,780. As a bonus you get $7,500 for the electric vehicle credit, thus, bringing the price down to $25, 2850. Both highway and city MPG is 99. With the rate that the economy is going right now, driving one of these cars will reduce your visits to the gas station. Which will end up saving you a lot of cash. Bio: Cash for cars Anyone? Pauline works in San Diego , and strives to make the world a more environmentally friendly place. She does this buy purchasing gas guzzling vehicles.